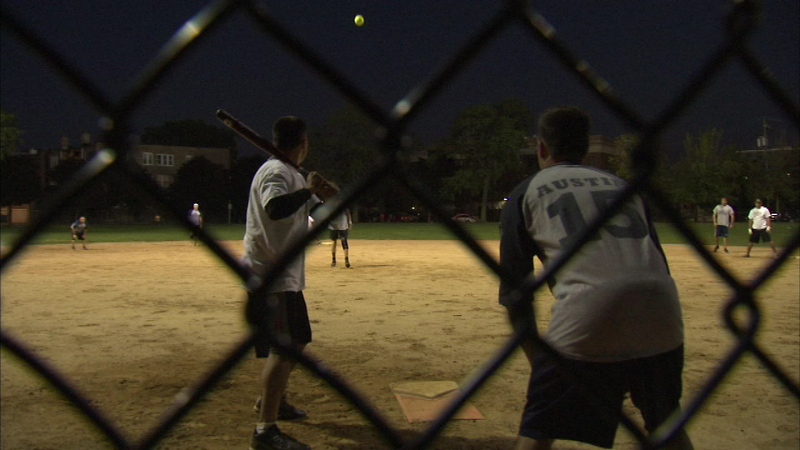 CHICAGO (WLS) -- Neighborhood all-stars take on a team of police officers in a friendly game of softball on the West Side Monday night. The game at Moore Park is part of an effort to promote fun and peaceful interaction between the police and residents. The officers are from the 15th District, while the neighborhood players are from the Build Chicago group, which promotes peace in areas of the city where there is known gang activity.